1.1 “Seller” Mechanical Air Supplies Ltd.
1.2 “Purchaser” The Company firm or person who buys or agrees to buy the goods. 1.3 “The Goods” All items supplied under this contract by the seller. 2.1 Payment in respect of goods supplied is due strictly net within 30 days of invoice date unless otherwise specified in writing. 2.2 The seller shall be entitled to charge interest at Bank of England base rate from settlement date on all unpaid accounts. 2.3 No defect in the materials or goods shall operate to interfere with the terms of payment which must be carried out whether or not the purchaser claims in respect of such defect. All drawings supplied relating to the goods are the copyright of the seller and must not be reproduced without the sellers consent. (a) The legal ownership of the goods remains with the seller until the purchase price of those goods is fully paid to the seller. (b) If those goods are sold by the purchaser, the purchaser holds the proceeds for the seller. (c) If those goods become constituents of or are converted into other products before the purchase price is fully paid to the seller, we shall have the legal, equitable and beneficial ownership in such other products as if they were solely and simply the goods and accordingly sub clause (a) shall apply as appropriate to such other products. No claim for loss or damage to the goods in transit will be accepted unless the purchaser notifies the seller of such loss or damage within 3 days of arrival of the goods. The seller will not be liable for any loss or consequential liability or damage sustained by the purchaser by reason of any act of God, war, riot, fire, strike, lock-out, Governmental control or regulation, abnormal weather conditions and accident breakdown or any other circumstance beyond the sellers direct control. Any quotation given remains open only for a period of 28 days from the date thereof unless otherwise agreed in writing and my be withdrawn at any time either orally or in writing. Any goods which have been supplied in accordance with the purchasers order, but which are subsequently returned will only be credited provided that our written agreement to such return has been obtained and that the price which the goods will be credited has been agreed by us. Purchased goods that need to be returned must be returned in an ‘as new’ state, with all original packaging. 2.1 Payment in respect of goods is due at checkout and can be paid with accepted credit cards or bank transfer, in the case of bank transfer goods will not be dispatched until funds have cleared our account . Purchased goods that need to be returned must be returned in an ‘as new’ state, with all original packaging un-damaged. MAS will refund the cost of sending an item back to us if it’s defective, damaged or incorrect. MAS will pay the cost of carriage should new items need to be disptached. If the return is not the result of an MAS error, the customer will pay the cost of the return. 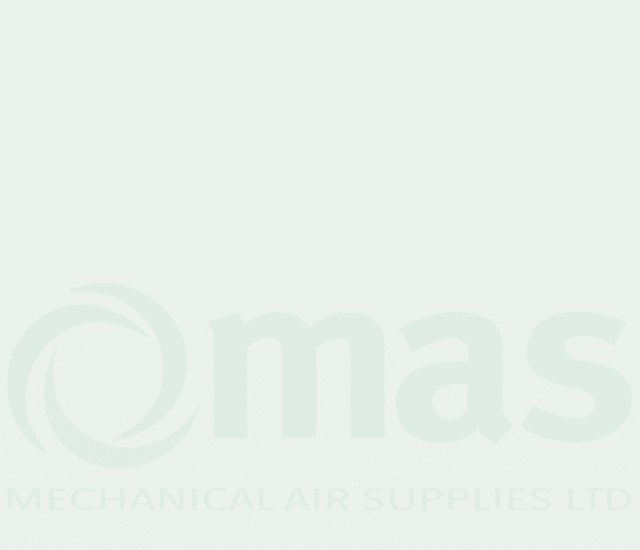 MECHANICAL AIR SUPPLIES LTD IS A COMPANY REGISTERED IN ENGLAND & WALES.